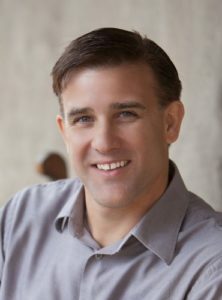 Today’s interview is with Qualaroo CEO Sean Ellis, who coined the term ‘growth hacker’ and founded growthhackers.com. Sean has a very impressive background growing startups such as Dropbox, Xobni and LogMeIn. He also has an excellent blog where he talks about unlocking startup growth. You’ll learn about what growth hacking really is and how you should be approaching it not just for startups, but for any business. Full-stack marketer – Somebody who has enough of an understanding of different marketing initiatives (for example, SEO, SEM, content marketing, CRO, data analysis, etc) to manage different roles in early-stage companies. Growth hacker – Somebody who’s contributions are measured against the impact they have on driving growth. Growth – Measured in the units of value/utility delivered (not the number of people signed up or the number of downloads achieved). Zynga is an example of a company that mastered growth but didn’t have much value to back it up. White hat growth hacking versus black hat – Okay to experiment with both, but white hat tactics tend to be more sustainable. Dropbox is an example of a company that’s been successful focusing almost exclusively on white hat tactics. Understand what your strengths are – not all people have the creative problem-solving temperament for the field. Look for opportunities to be a part of a growth team or growth organization. Study and holisitically understand the science of growth. Although there’s no single growth formula that can be applied to all companies, you can identify basic principles of growth through experimentation and reverse engineering other success stories.